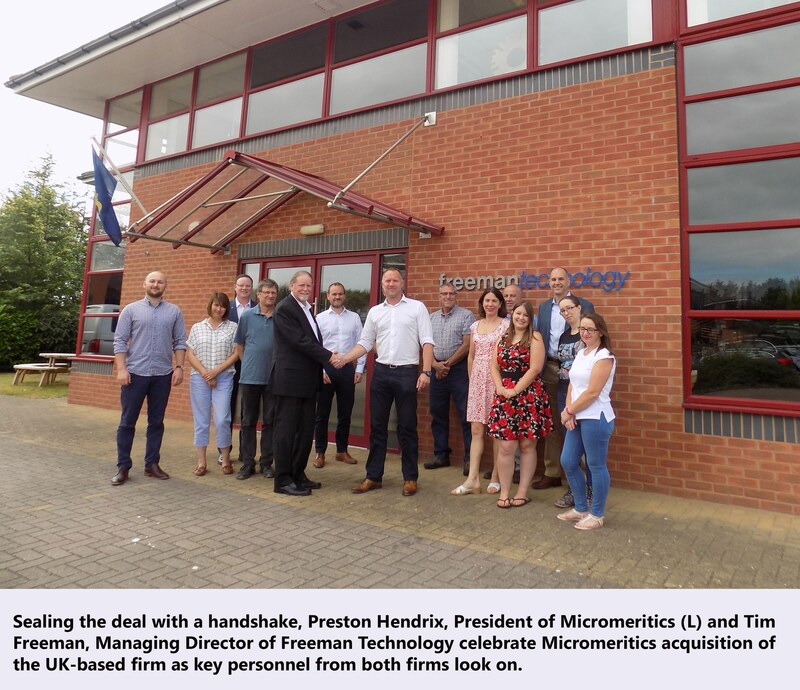 Micromeritics Instrument Corporation, a leading global manufacturer of premium products for advanced materials characterization, today announced the acquisition of Freeman Technology. Freeman Technology specializes in providing instruments for the measurement of powder flow properties and other behavioral properties of powders. Micromeritics Instrument Corp. Acquires Process Integral Development S.L. Freeman Technology, located in Tewkesbury, UK, manufactures instruments which deliver data to assist its customers in maximizing process and product understanding, accelerating R&D toward formulation and commercialization as well as supporting the optimization of powder processes. “The acquisition of Freeman Technology is very strategic to the growth of Micromeritics,” said Preston Hendrix, President of Micromeritics. “Not only does it expand our portfolio of products and solutions in high-growth market segments where we are already active and have a large, global base of customers, but Freeman Technology’s strong scientific and applications focus is very much in line with the pre- and post-sales support customers have come to expect from Micromeritics”.